Album Coming on September 21st! “In 1972, Bill Withers wrote a song about the Vietnam War,” Grammy nominated singer/songwriter Anthony David intones over a stark drumbeat in his personalized and timely interpretation of “I Can’t Write Left-Handed,” Withers’ haunting meditation on military and combat. David’s connection to Withers is multi-faceted. Like the iconic singer/songwriter, David began his musical career after serving in the military; indeed he saw combat in Desert Storm. 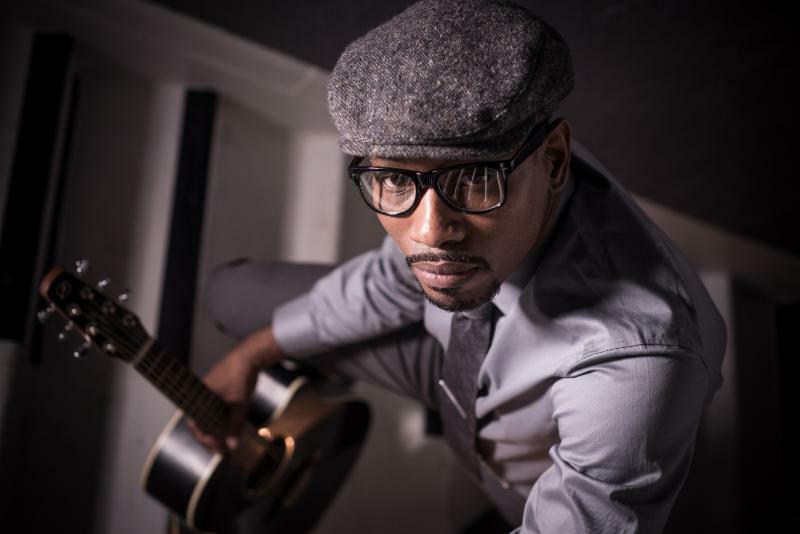 From the onset of his career, Anthony David, a longtime collaborator with India.Irie, has often been compared to Bill Withers. David has always resisted categorization by creating music that is on the one hand diverse and on the other unique even when working within a genre. Like Withers, David plays the acoustic guitar and has a warm, resonant voice that imparts an earthy sincerity to his music. So it is no surprise that David has often been labeled as his generation’s Bill Withers. Now, Anthony David has made the album that so many have been urging him to make for years; a heartfelt tribute to Bill Withers, an entire album of interpretations of Withers’ compositions, both famous and obscure. David’s anticipated new CD, Hello Like Before, will be released by Shanachie Entertainment on September 21, 2018. “I Can’t Write Left-Handed,” the album’s first single, will be released on July 4, 2018, the birthday of both Bill Withers and the nation. I don’t think anyone has ever really described in a song before,” shares David. and see the world, maybe make some money to have a family. It’s not really a political thing. With American soldiers still in combat in the Middle East, “I Can’t Write Left-Handed” is just as relevant today as the day it was written. Anthony delivers it with a moving vocal performance that is some of the strongest singing of his career. 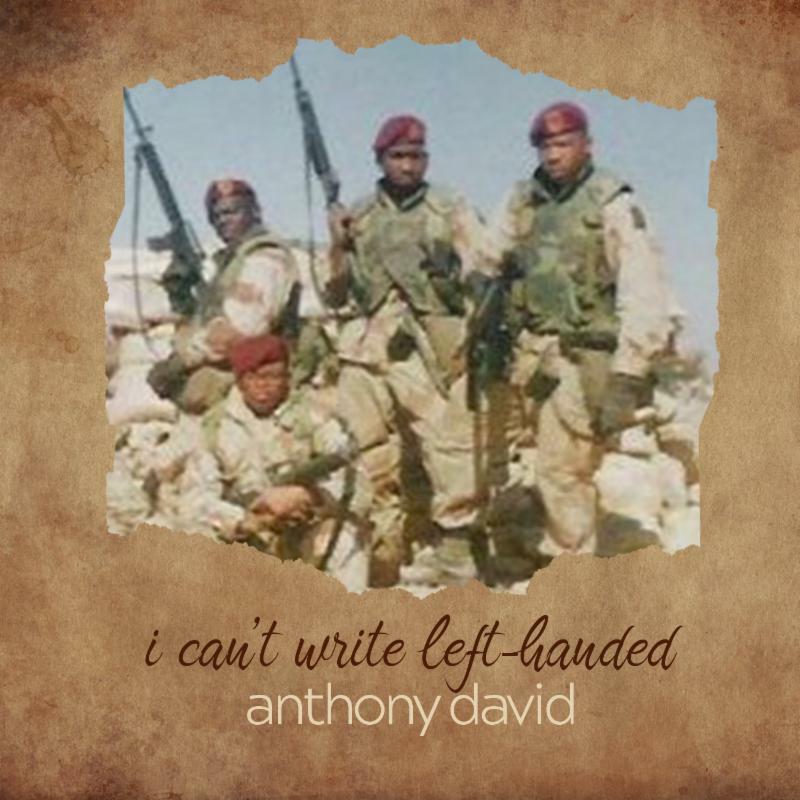 In a time when so much music is geared toward superficial effects and titillating lyrics, and so little popular music addressing deeper issues of our time, Anthony David’s version of “I Can’t Write Left-Handed” is a timely reminder that music at its best can make a deep impact on heart, mind and soul. Anthony David was born Anthony Harrington in Savannah, Georgia. 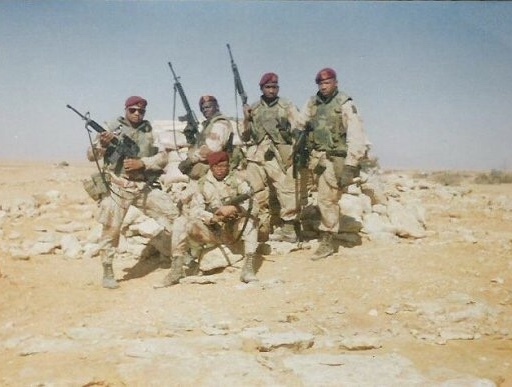 A Gulf War vet, he began writing songs during a stint in the military in Iraq, where as a paratrooper with the 82nd Airborne he took part in 28 combat missions. Writing songs was a life- affirming act while facing the real possibility of dying. He got involved in the music scene in Atlanta in the late 1990s, meeting a then-unknown singer-songwriter India.Arie; they became friends and collaborators, with Anthony co-writing songs on her first three albums, which spawned a number of Grammy nominations, singing back-up for her on tour and eventually opening for her. This visibility led to the release of Anthony’s debut album Three Chords & The Truth released in 2004 on the Atlanta independent Brash Records, carving out a unique lane with his personalized brand of acoustic soul. Extensive touring revealed Anthony to be a free-wheeling, engaging performer, able to hold a crowd with just the sound of his voice and an acoustic guitar. A second independent album, The Red Clay Chronicles, led to a deal with Universal Records, which released Acey Duecy, a compilation of the best tracks from his first two albums, yielding a hitduet with India.Arie and a Grammy nomination.Thanks to the release of his albums by labels in the UK and Japan, Anthonytoured extensively abroad, building aninternational audience. His star continued to rise as he signed a dealwith Purpose Records/eOne Entertainment whichled to the release of his fourth album As Above, So Below in 2011, whichfeatured guest vocalists Algebra, Phone ofLittle Brother and Shawn Stockman of Boyz II Men; his duet with Algebra,”4Evermore,” became a #1 hit at adult urban radiowhile the reggae/Latin-tinged “Body Language” tore up dance floors in theUK. A tour in Kenya inspired Anthony tobecome part of the Give Africa Hope campaign that brought awareness tofamine in East Africa. He shot the video forthe title track of the album in Kenya. He also became involved with AWOL (All Walks of Life), an arts program for children in his hometown of Savannah, pushing to establish it in Atlanta in 2013. He quickly followed the release of As Above, So Below with Love Out Loud, another album on Purpose/eOne. Signing with Shanachie Entertainment in 2015, he released The PowerFUL Now.